Just using the best ingredients: especially composed music created by the surround gurus from Avenue Music. Ethno voices, orchestras, hypnotic beats and mystic sounds were arranged within a brand new Dolby Atmos 3D audio soundtrack that ensures an unprecedented listening experience. Spectacular images from all around the world, shot on S35mm film by famous director Gogol Lobmayr – all transferred into the digital domain and color graded for HDTV playback. 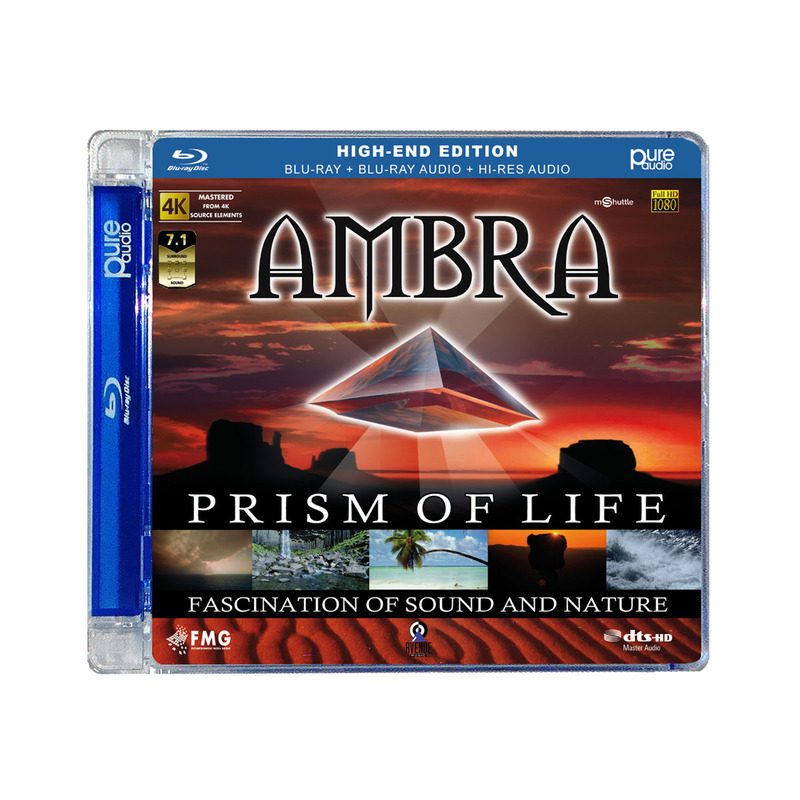 Let yourself be taken on an exiting trip to the most fascinating landscapes of this planet – and relax your mind with “AMBRA – Prism Of Life”! 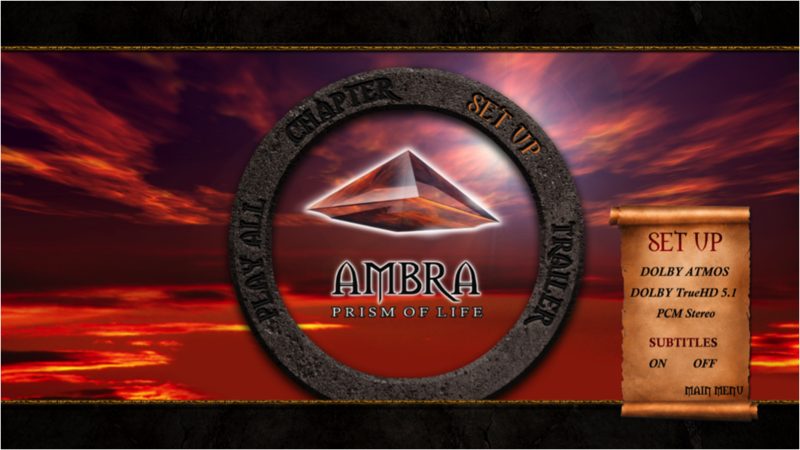 “AMBRA – Prism Of Life” Blu-ray Disc menu. 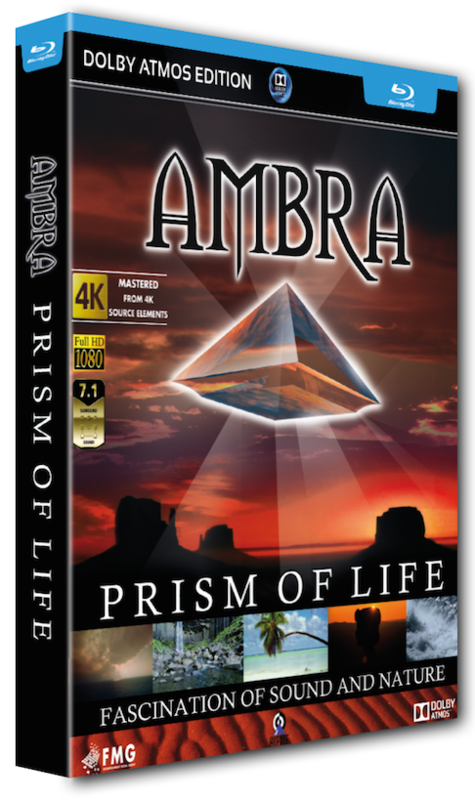 Audio-only, PURE AUDIO disc version of “AMBRA – Prism Of Life”. Also available as box set (BD-Video & PURE AUDIO).